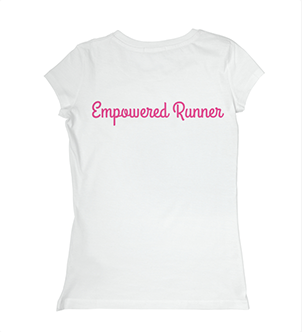 Get an "Empowered Runner" Sole Girls Tee! Buy an "Empowered Runner" T-shirt and $15 from every purchase will go straight to support a girl who is less fortunate and wants to participate in a Sole Girls program. The T-shirt is 75% cotton and 25% polyester making a high quality fabric. $30.00 CAD plus GST/PST & shipping.